I wasn’t an athlete. I wasn’t someone who wanted to run or throw weight around. Fitness was for “fit” people. 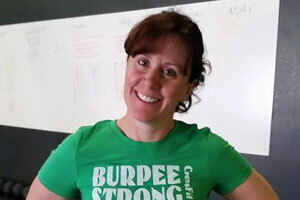 I was first introduced to CrossFit in August 2011. I was nervous while following my friend through the door. I hadn’t any idea how to use free weights, jump on boxes, do pull-ups, climb ropes, or drag tires. Drag tires? I thought: “What kind of workout is this?” I smiled and cringed at the same time. After my first workout, I hurt everywhere, and I grinned from ear to ear. I was hooked! Everyone supported me and told me that it was a job well done. My goal as a trainer is to transfer my passion for fitness to others and assist them in reaching their goals. I want to guide and help others overcome their fears, break through barriers, set and reach personal records, and ultimately experience the benefits of CrossFit. One of the highlighted benefits of CrossFit is the community. We celebrate daily victories together; not only in the gym, but in life itself. We’re all on this journey together. On a personal note, I was born and raised in Oklahoma. I moved to Denver in June 2013. Outside of the gym, I enjoy traveling, watching movies, dancing, and attempting to paint. In the distant past, I played music in concert band, acted in drama class, and for a short time, I was a belly dancer. If you ask, I will teach you to shimmy. 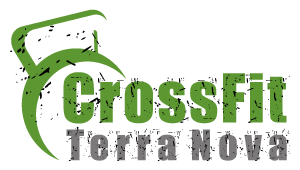 I look forward to welcoming you to the CrossFit Terra Nova family!